HYDROPONIC GREENHOUSE- A gardeners Nirvana! 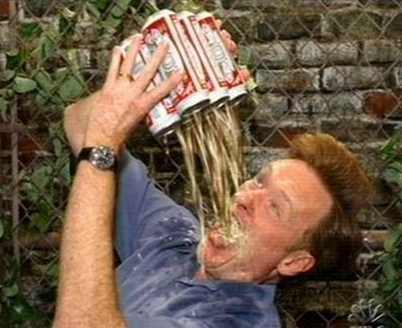 Picture this... you just had a bad day at the office, but it's finally over. The one hour commute home adds to your stress level. You arrive home to find the house a mess and the kids fighting. Escape! Out back... it's a gloomy January evening... there it is... your oasis... a bright and cheerful hydroponic greenhouse! DO YOU NEED A GREENHOUSE? Your ultimate gardeners goal might well be an outdoor greenhouse. It's a great thing to shoot for. Lots of room, total climate control, and plenty of nature's perfect lighting... the sun. When do you need a greenhouse? When your Hydro systems and enthusiasm have overflowed your house. Or you've become serious about supplying much of your family's veggie needs yourself. A greenhouse is an ambitious project, for sure. But if you're serious about gardening, you'll never regret building one. With minimal heating and (necessary in some locations) a little supplemental lighting, you can grow tomatoes, peppers, cukes and melons in the harshest of winter months... now how cool is that? If you don't have a sunny spot somewhere in your yard, or can't create one by cutting down some trees, don't do a hydroponic greenhouse. Ideally, your greenhouse should receive direct sunlight most of the day, through all 4 seasons. 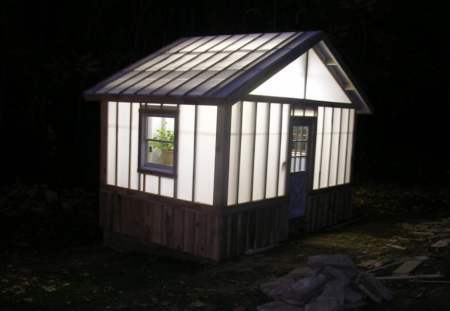 If you have to provide most of the light artificially, why bother with a greenhouse? Put it close to your house so you can easily hook up to power and running water. If you live in an urban area, put a greenhouse on your rooftop or patio and be the envy of your neighbors! Ventilation is very important. Vents and exhaust fans are a crucial element in any greenhouse plan. Add a thermostat to automate the system. 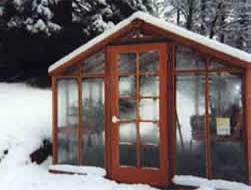 Greenhouse gardening has always been popular with northern gardeners. But it is just as useful in the tropic and semi-tropic areas (Florida). The problem? Cooling it off in the summer. Solution: shade-cloth, fans and even misters. Ever wonder how a greenhouse works? We explain the principles behind "the greenhouse effect" here. Learn how to cheaply make yours a passive solar greenhouse. COULD I AFFORD A GREENHOUSE? Do you have to spend a lot of money to have a hydroponic greenhouse? No! 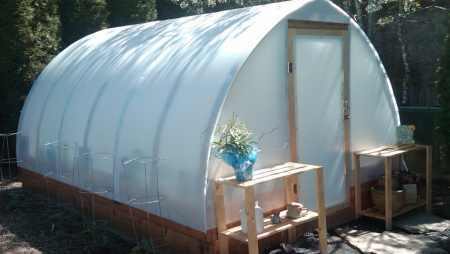 There are inexpensive materials and free plans that could have you up and growing for a couple hundred dollars. Or you can spend thousands of dollars if you want a true "glass house" that will last for generations to come. Or you could opt for a reasonably priced greenhouse kit that is extremely productive and could be up and growing in a couple of days! 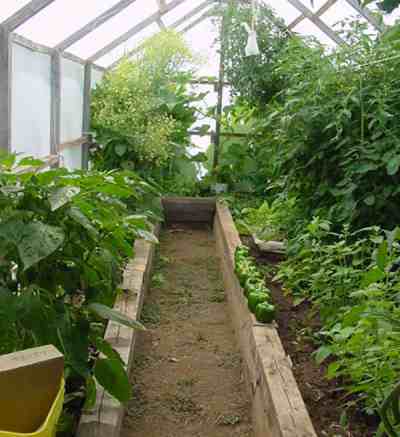 If you're good with a hammer and saw, plan and build your own greenhouse. Do a web search for "greenhouse plans" and explore the possibilities. You'll be proud of your own construction, and it will provide 10-20 years of hydroponic gardening; longer if you use pressure treated wood. Just make sure you follow the local zoning laws and get a building permit first, especially if you use a concrete slab. Build your own greenhouse with these tips. Update! Our long-promised and eagerly-awaited DIY Greenhouse e-book is ready! There's an ever increasing array of pre-fab, hobby-style greenhouse kits on the market. 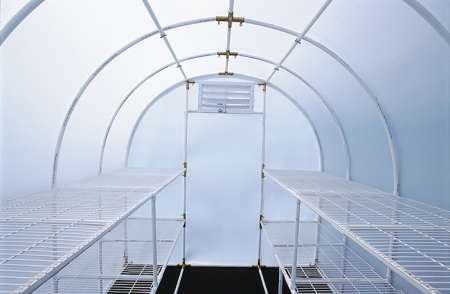 Kit greenhouses are a great option if you want a sturdy, well designed, field tested and simple to erect structure. Think they cost too much? A word of caution here. 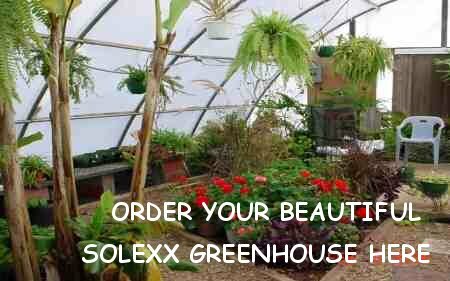 If you plan to design and build your own greenhouse, take the time to draw up complete plans and a detailed parts list, down to the last screw. Don't forget to add the extra costs (in money and beer) to hire your carpenter neighbor Bob to knock the thing together. Next, get over to Home Depot and price everything out. You may be surprised to find that the costs of all the materials and hired labor is pretty close to a comparable kit… Precut, color-coded, and delivered to your doorstep. Are you a control freak? 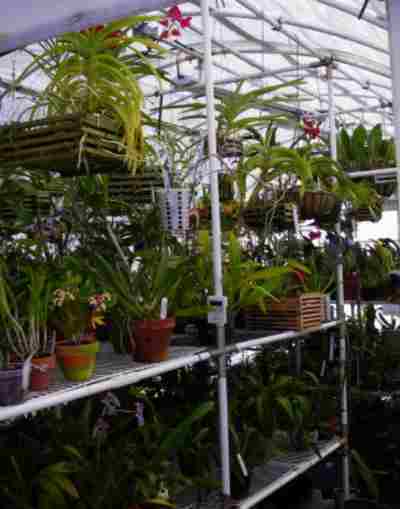 A greenhouse allows you total control over climate. You can create the "perfect growing environment". A greenhouse lends itself well to experimentation, too. Create your own ultimate automated food factory... with a hydroponic greenhouse. Sometimes we enjoy planting small, soil-based gardens in the height of summer when the greenhouse is just a mite too hot. If you want to keep your Green Thumb in the soil too, we recommend the Square Foot Gardening method.